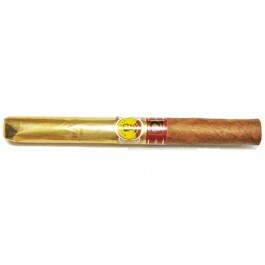 The Bolivar Gold Medal is a unique cigar wrapped in gold foil, a powerful Lonsdale, 6.5” (165mm) long, of 42 ring gauge, and comes in a 10 cigars box. The most thought after Cuban cigar since 1992 in it's golden wrapper is back in production only for La Casa del Habano shops around the world. The re-release of the 2004 Regional Edition, this is a very strong smoke with predominantly earthy tones and characteristics.